I've known Chris (Mai-guitar) for a while. I played the brown (red) one the other day. That thing plays great. I own a bunch of Jems and that guitar is right up there with them. The prestige neck helps, for sure. But, it sounds great, feels great and has super low action. I was tempted to take it home with me but I just can't swing it. The finish on the wood looks even better in person than in the pics. Top notch work for sure! Thanks. I still have that one. I thought there was another post on this thread from my email, but it looks like someone wiped it off. Just purchased an ash Jem body from Chris last Friday- held next to my JEM77VBK looks identical! Very nice work. I have not tried fitting any parts or a neck yet. I don't have a neck to try - I need to search for a neck now - maybe Perle? 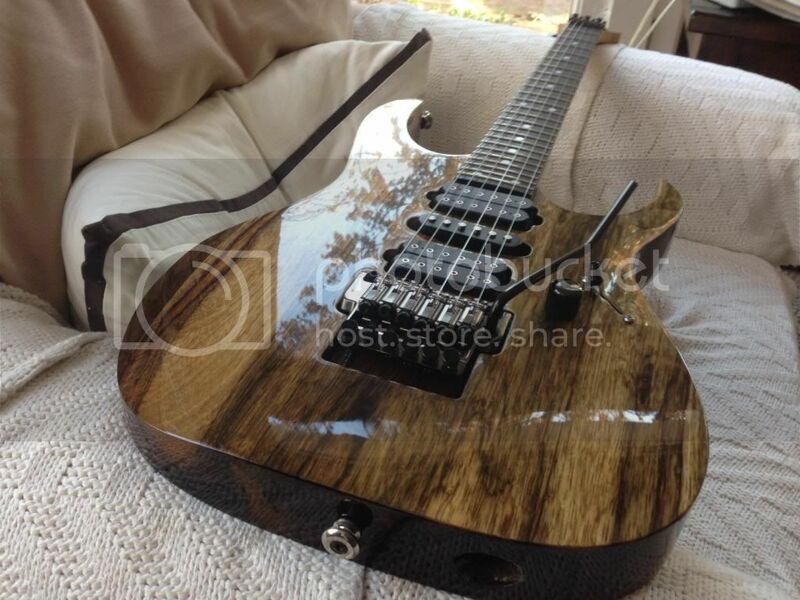 Chris - I was also planning on a natural finish similar to your red or brown guitar. Did you grain fill the body as well? Can you provide any tips of the finish used, number of coats, clear etc.? The brown one is just a spray on stain, then a spray on top coat. My buddy did that one in his shop, so he was using some custom mixed stains. He buys the base products in big batches. No grain filler for the open grain look. Just sand the heck out of it. I'm working on a few projects lie this. I have a couple SQ floral necks and a SQ pyramid neck for a LNG. That's a real FP neck on that guitar, not a custom correct? Its a real FP neck. 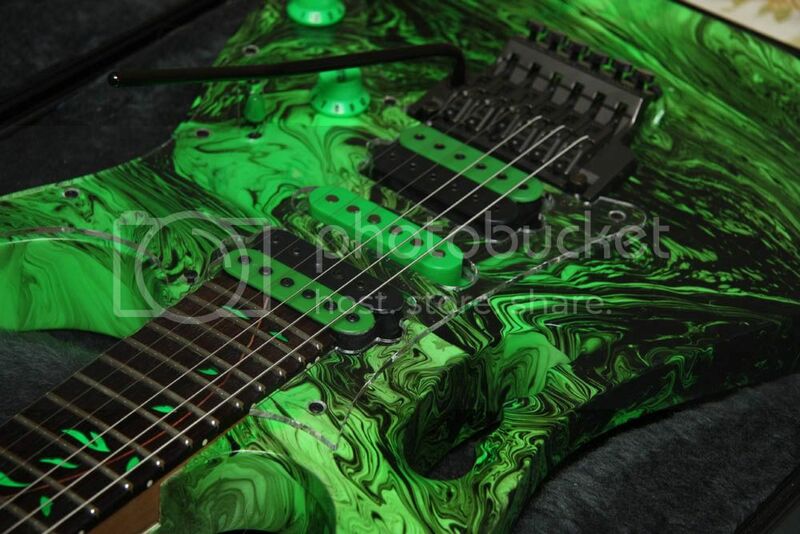 Its a real FP neck on a Korina body. Here is one that jumped out. I figured I'd post it. 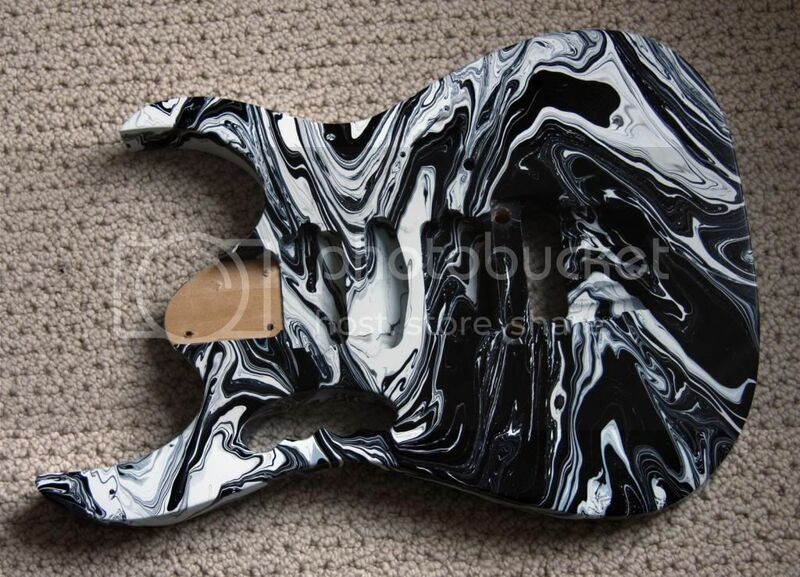 One of my first posts here but Chris is the man when it comes to swirled bodies, got one from him and can't say how happy I am, by far is one of my guitars that looks and plays amazingly, planning to buy another body and start a new project next year, also interested on those floral necks. I had this one sitting around for a while. I buffed it out Thanksgiving morning. Then wired it up over the weekend. I put a Bad Horsie Neck on it, then some Breeds. The pickups seem pretty hot. 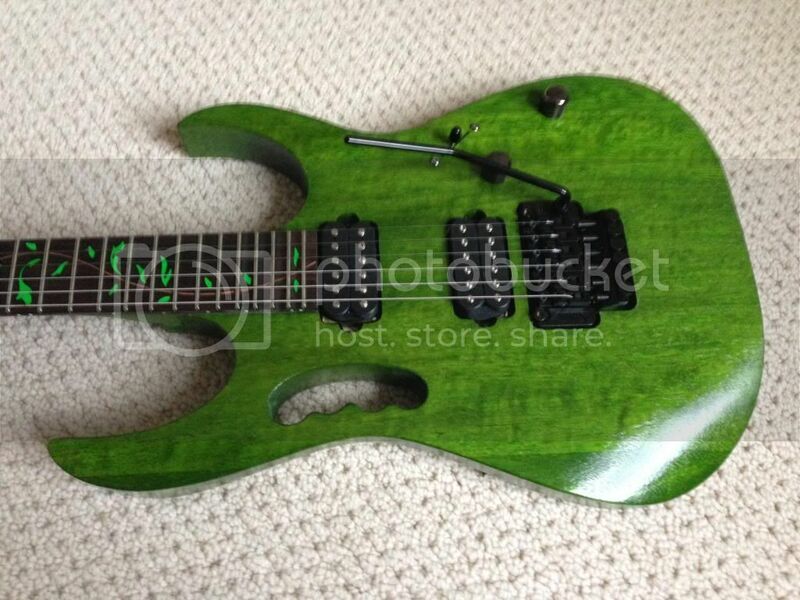 With a split of the neck with the middle, it has a SRV feel with a clean patch. I really played the heck out of this one today. That one looks really nice!!! 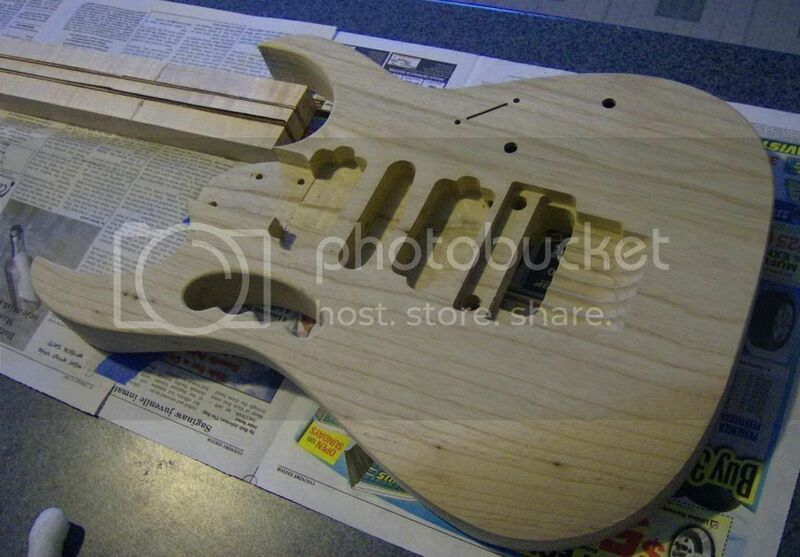 Just bought an unfinished one piece Swamp Ash body from Mai-guitar, very happy with it. I just got a VBK for a project guitar. The neck is in great shape but the body has been stripped and badly stained/painted.